WASHINGTON – The Trump administration’s policy to separate families seeking protection at the southern border, followed by a rollback that would instead indefinitely detain parents and their children, has made clear that the immigration system lacks crucial transparency and accountability mechanisms. Any immigration reform legislation must include remedies to take our immigration system out of the shadows. Open the Government recommends a series of legislative actions today that would provide greater transparency and accountability for opaque immigration policies. 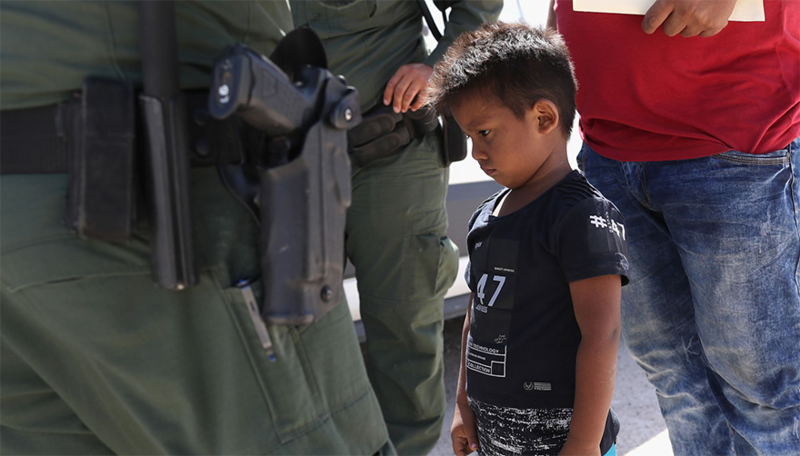 The practice of warehousing the children of asylum seekers exposed the secrecy that has long shielded the immigration detention system from public scrutiny. Even though the president has backed away from his family separation policy, indefinite “family detentions” planned under the new policy will still take place in privately run detention centers which must be transparent and accountable to the public. Checking the Reckless Expansion of DHS Power: As Congress debates two controversial immigration bills this week, it should not give the Department of Homeland Security free rein to implement its expansive border security, immigration enforcement and surveillance programs without proper oversight. If Congress does not act to remove certain provisions in the legislation, DHS could bypass statutes that protect against violations of civil liberties and religious freedoms, circumvent requirements to prevent the misuse of taxpayer dollars, and build on protected land without conducting proper environment impact assessments. Supporting Demands for Transparency Requirements for FY 2019: The President has requested over $25.5 billion for Immigration and Customs Enforcement (ICE) and Customs and Border Patrol (CBP), agencies that already receive as much funding as all other law enforcement agencies combined. Appropriators and all members of Congress should take steps to demand transparency before funding immigration enforcement, border militarization, detentions, and deportations carried out by ICE and CBP to ensure against wasteful agency practices, violations of domestic and international law, and other systematic abuses of authority carried out in secret. Increasing Transparency for Private Detention Facilities: Congress should pass the Private Prison Information Act of 2017 (S.1728), to strengthen accountability and oversight by requiring for-profit prisons under contract with federal agencies to comply with the same FOIA requirements as their government-operated counterparts. This is critically important as detention centers are rapidly expanding at the border, which will only increase the number of contracts with private companies looking to profit from the crisis. For a more comprehensive look, please check out full recommendations by Open the Government Policy Analyst Jesse Franzblau.